He suffers a tear in the quadriceps of his left leg, as revealed by the tests he underwent. In principle, it will not go through the operating room. As they say, bad news never comes alone. That must be thinking about the Bay, since the night has left them touched twice. The blow of losing a game that you were winning by 31 and see that you match the tie can join a very important injury for the future of the playoffs. DeMarcus Cousins suffered a tear in the quadriceps of the left leg, as revealed by the evidence medical conditions to which he was subjected. At first, the pivot will not go through the operating room and will carry out a rehabilitation process during the next two weeks. After that time, it will be reassessed. The news is bad, but in the Warriors there are hopes (although they are minimal) that Cousins can return to the courts before the season ends. 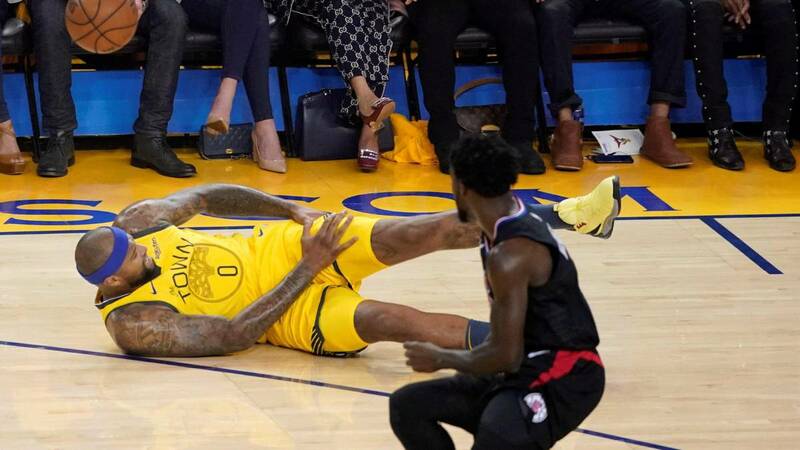 The Warriors player was injured when they had played only three and a half minutes of the match and it was he alone trying to reach a ball that was lost by the band. In the race he felt pain in his left thigh and then went to the ground. Although he tried to go back, as soon as he got up he asked for the change. Afterwards he went to the dressing room, by his own foot, but with the damage in the leg that could be observed with the naked eye. These were the first playoffs he was disputing Cousins. The player, 28, missed last year's with the Pelicans since he was out since January due to rupture of the Achilles tendon. Previously he had never managed to qualify with the Sacramento Kings.